Please note, I will not mention the amounts you should put in as this will differ to each person and what they like. So just go with your gut feeling, I promise you won't go wrong! 1. Fill your saucepan up with cold water and boil. 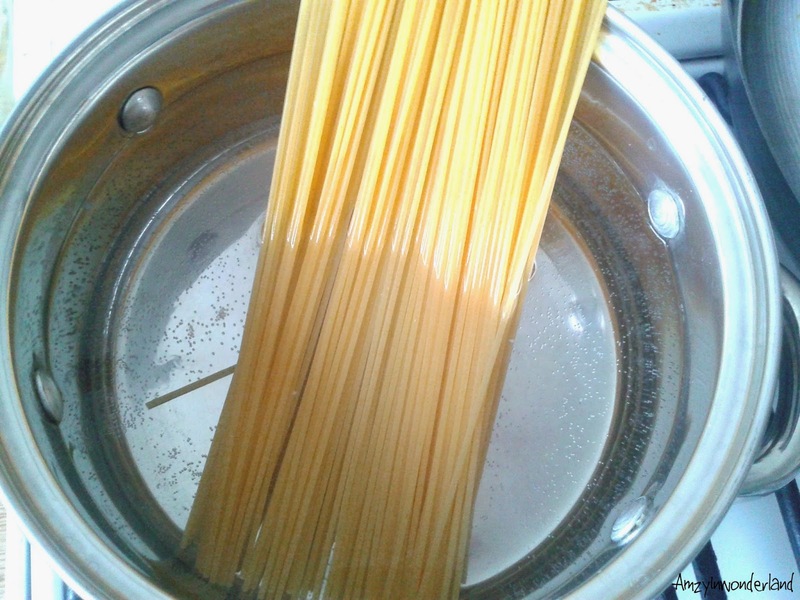 Once water has boiled, place the spaghetti in. 2. While your spaghetti is cooking, it's time to make your breadcrumbs. To make breadcrumbs, simply grab your cheese grater and slice of bread and grate the bread like you would cheese. 3. Get your frying pan and put a drop of oil in, when the oil is hot enough, drop your breadcrumbs and add salt and pepper then stir until breadcrumbs are a golden brown colour. 4. Once your spaghetti has been cooked, drain out the water then place the spaghetti back into the saucepan. Now add your breadcrumbs, olives, cheese and parsley and mix together. 5. Now place onto your bowl or plate to serve. You can add extra of any of the ingredients if you wish. And voila, your lunch/dinner is served. You can purchase a variety of different flavored olives such as basil and garlic, chili and garlic, lemon and rosemary, chili and oregano from OLOVES from Holland & Barrett, Shell service stations and many more places. All Oloves olives only contain 50 calories and are full of goodness! I found this recipe here and have tweaked it to fit my tastes. You can connect with Oloves through their twitter! Let me know how you like this recipe or if you would have done anything different. * I received this pack of Olove olives from a blog meet. I love any kind of pasta dish so this is right up my street! Ah if only I liked olives! It sounds like a really yummy recipe, otherwise!